Police intelligence in a counterinsurgency may not hit the headlines and is by no means a panacea for civil strife, but is an integral component of a combined counterinsurgency strategy. It provides a weapon which is more feared by insurgents than any number of missiles, armored vehicles or boots on the ground. The proper employment of police intelligence is a vital and often overlooked tool which, if used correctly, may lead to a lasting resolution of any counterinsurgency campaign. Yet its capacity for uncovering and destroying the prime movers of an insurgency is all too often marginalized: knowing who they are and where they may be found renders the insurgent visible and touchable. This is the natural role of police intelligence as this work clearly demonstrates. 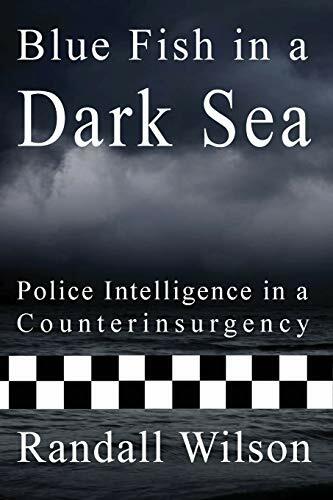 This book is of particular value to policy experts and academics on the vital importance of police intelligence in counterinsurgency. Surprisingly little in the way of study of this specific aspect of counterinsurgency since policing is mentioned largely in the context of a supportive and adjunctive role to the efforts of more traditional military operations. It is Important to students of international relations, civil, national and international security, police academies, law enforcement and security management especially as security studies is an expanding discipline. RANDALL WILSON has served with and advised the police forces of a number of nations beset by insurgencies. These include the highly visible conflicts in Iraq and Afghanistan as well as in other theatres where the stakes were equally high but the coverage considerably less. He has worked in the field of law enforcement, police intelligence and counterinsurgency over the past twenty four years.